The ability to drop bombs on targets a continent away can be a huge tactical advantage (even if it is just saber-rattling). Doing so at supersonic speeds, nearly automatically, is even better. That's why the UK has spent the better part of a decade developing the Taranis, one of the biggest and fastest UAV in existence. Now it just needs to prove it can actually fly. 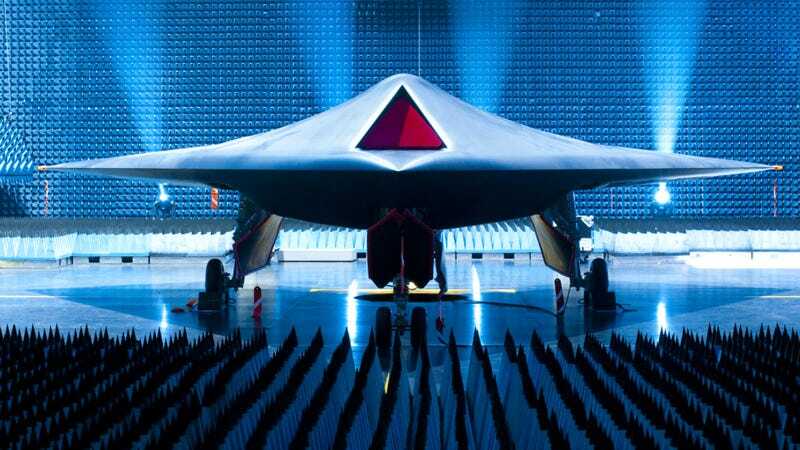 The Taranis, named after the badass Celtic God of Thunder, is the result of ten years of research as the Ministry of Defence's first UCAV (unmanned combat air vehicle) program. Rather than join the multinational nEUROn UCAV program, the UK forged its own path by founding the UK's strategic unmanned air vehicle (experiment) SUAV(E) program—a £143m consortium headed by BAE Systems as well as GE Aviation, Rolls Royce, and QinetiQ. The result: a nearly completely autonomous stealth bomber with supersonic speed, intercontinental range, and no on-board pilot. The Taranis itself, though rarely seen since its 2010 unveiling, measures roughly 11 meters long, four meters high, with a 10 meter delta-shaped wingspan, and weighs about eight tons. While specifics remain scarce, many in the defense industry have speculated that Rolls-Royce will employ the 6,480ftlb of thrust Adour 951 engine. This prototype UCAV is designed to do far more than just bombing runs. For Intelligence, Surveillance, and Reconnaissance (ISR) missions, the Taranis can be equipped with a BAE image collection and exploitation (ICE) system that autonomously collects and distributes high res images.